The Uni-rak uses Bak-rak's patented mounting system and gives lots of flexibility to mount things apart from luggage. 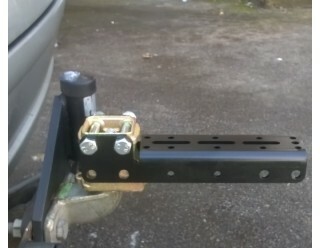 The Uni-rak is multi-function fitting with a plate on top of the normal bak-rak mount. It is a heavy-duty engineering fitting made of 5 mm laser-cut plate - so it will stand up to a life-time of hard work. 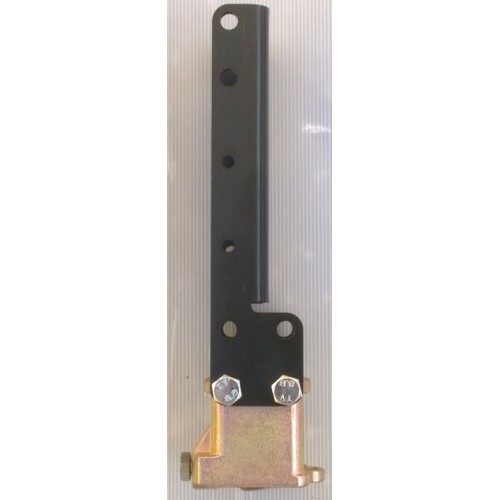 The plate has a range of slots and holes to allow the fitting of many different items. Among the most useful is a vice. 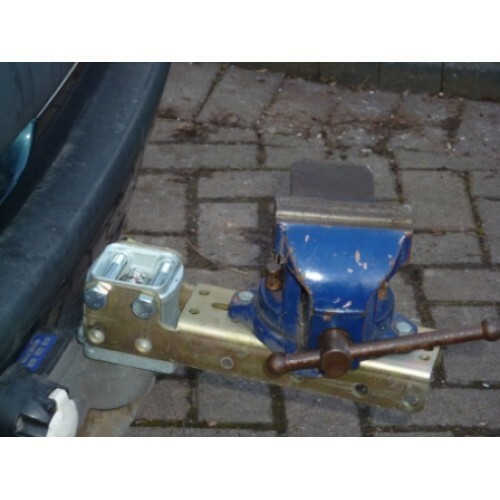 The mount places the vice neatly just above floor level of most vans giving an incredibly useful strong-point to cut or hammer articles. 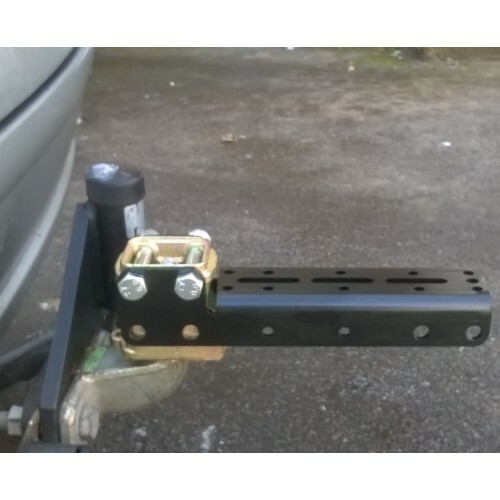 The mount can also be used with a footplate on top as a removable step for vehicle access. 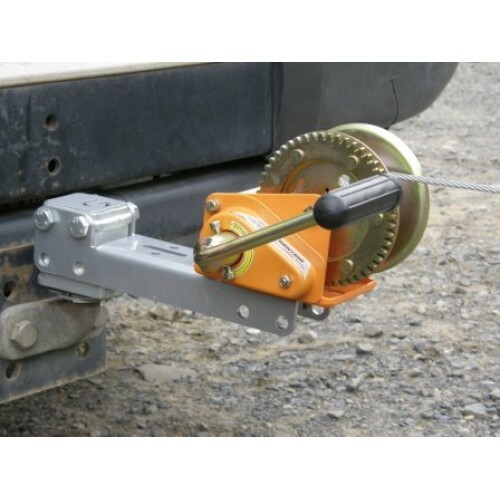 The Uni-rak can also be used to neatly fit a lightweight winch - though beware of the loading - towbar manufacturers warranty will not cover using a winch - for good reason as it is possible to produce forces high enough to decapitate the tow-ball - heaven knows what that does to a towbar! But like most things - used sensibly it will be no problem! 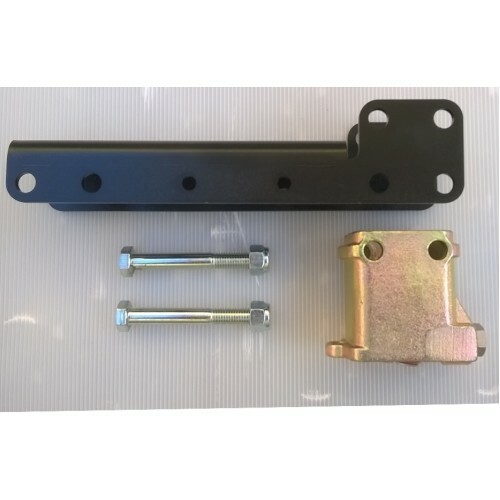 Pictures show Uni-Rak with a winch and a vice mounted (these are not included) It can also be mounted vertically to attach an advertising sign or similar. Black finish on current models.